Baguio City — Align your thoughts and desires with God’s. This was the message Fr. Ronel Gealon, OAR gave to the seminarians during the retreat he facilitated in Casiciaco Recoletos Seminary before the opening of the formation year last August 7 and 8, 2018. Fr. Gealon, who is currently assigned at the University of Negros Occidental-Recoletos (UNO-R) in Bacolod City, emphasized the importance of discernment in the life of a seminarian and even the religious. “Our desires can stray from God because the world is alluring,” he said. To give direction to life, it is necessary to discern the will of God in one’s life, he added. He noted that the world outside the seminary walls is dispersed, without identity and forgets God because it is drowned in its own noise. He also urged the seminarians to be open to the promptings of the Holy Spirit in their vocational discernment. This entails, he said, detachment from the world and all its concerns so that one may freely respond to the prayer of the Church for more workers in the Lord’s vineyard. The two-day retreat was part of the preparations for the start of the upcoming formation year 2018-19. 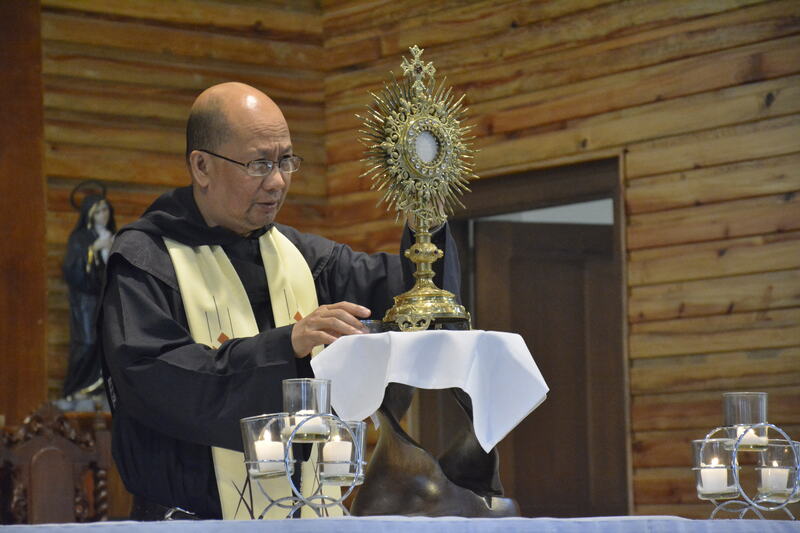 For this year, there are 67 seminarians in Casiciaco, 23 of whom are neophytes.